Each month Dawn presents her lingering look at windows challenge. There is no theme – just windows of one sort or another. We were in Colchester at the beginning of September for a wedding so didn’t really do much in the way of exploring. Given my love for architectural styles I did have a brief wander around the Cultural area where we were staying to see what I could find. 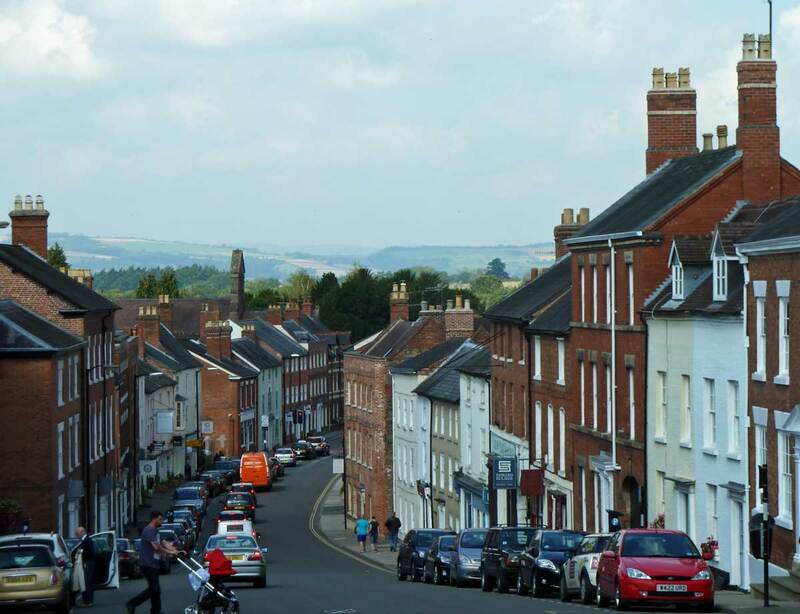 It is of course a very old Roman town (Camulodunum ) and once the capital of Roman Britain, but was attacked and destroyed during Boudica’s rebellion in AD 61. At only 50 or so miles north of London it is growing fast as a commuter town. 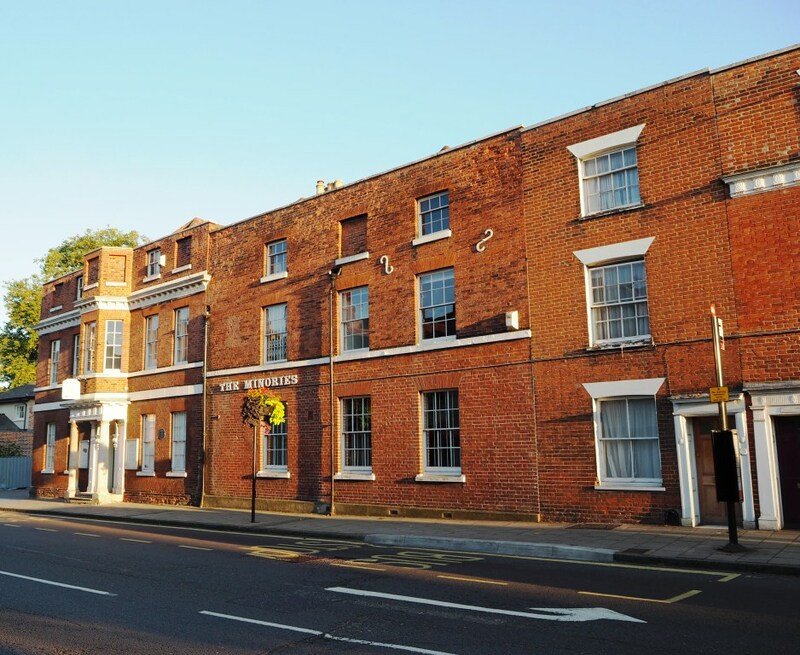 We stayed at the recently opened Greyfriars Hotel on the eastern edge of the High Street. 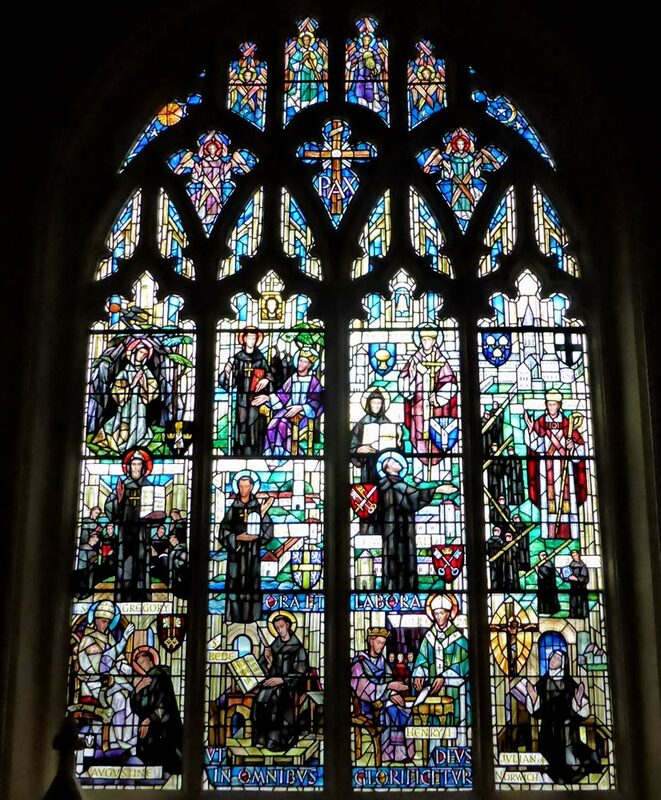 It is not only a beautiful C18th neo-classical building, but was for a hundred years a much-loved icon of educational excellence and, even centuries before 1755 when the current house was built, its site had religious, social and educational significance. 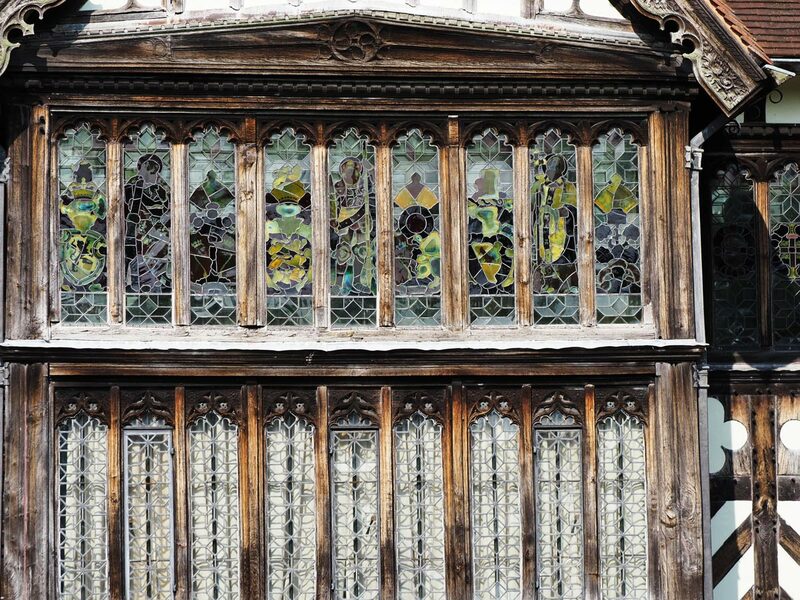 Occupants have included friars, nuns, householders, clergy, physicians, horticulturists, an industrialist and students (young and adult). Empty from 2007 when sold by Essex County Council who decided it was no longer fit for purpose for education the building has been transformed. The wedding we were attending was held across the road in the Minories – another lovely Georgian building and now an art gallery and centre for post-graduate study in art. This house in a very similar style to Grey Friars was bought in 1731 by Isaac Boggis a merchant in the wool trade. Month number nine already and the summer is slipping away fast. Not that there has been much of a summer in this region, July and August proved to be wetter than average and colder too. No sitting outside on a warm evening sipping a cold Sauvignon blanc. More a case of looking for the bedsocks. 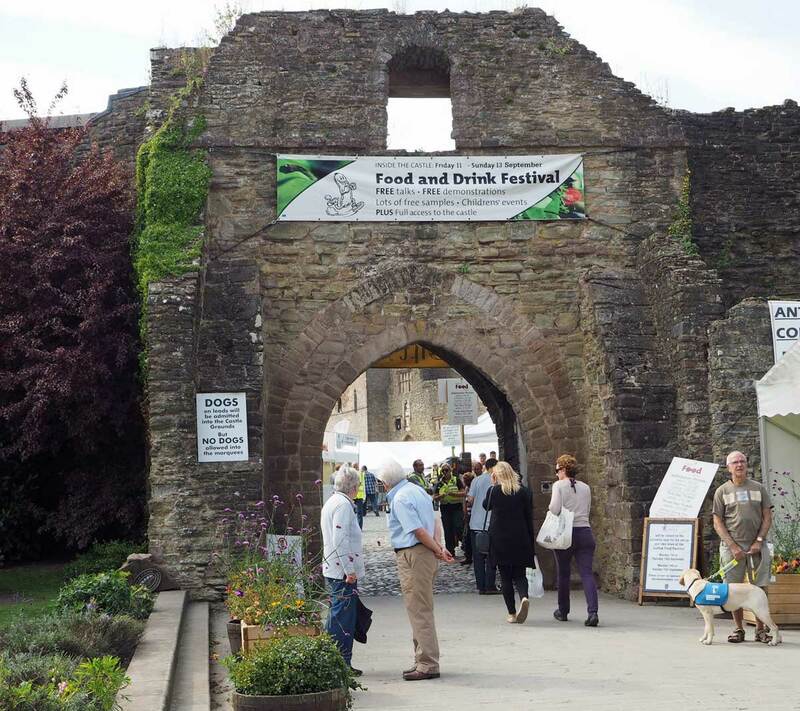 September in Ludlow is Food Festival time when the town is invaded by visitors seeking the perfect sausage on the sausage trail. The three butchers compete to create a new one each year. So far I have only tasted the boar, sage and red currant one but can report that it is VERY nice. In fact some are sizzling in the pan as I write this. If that doesn’t float your boat then there is a Real Ale Trail and Pudding Tastings too as well as many different exhibitors, demonstrations and free samples. We’ll begin then with a few views of the festival and some of the interesting window displays that shops enter each year. I don’t agree with the results, but what do you think? And I shall link these to Dawn’s Lingering Windows. 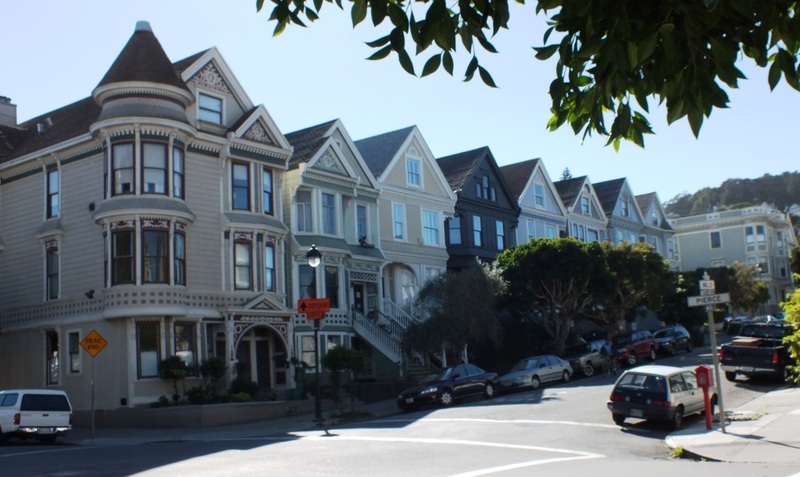 The “Painted Ladies” of San Francisco sounds quite scandalous, but is actually a nickname for the city’s Victorian and Edwardian mansions with their genteel pastel hues and feminine façades, lacy wooden mantles and perfectly pitched roofs. One of the most photographed vistas is from Alamo Square on the corner of Hays and Steiner where you get a background of the modern city that contrasts with these lovely ladies. It is sometimes known as “Postcard Row.” The houses were built between 1892 and 1896 by developer Matthew Kavanaugh, who lived next door in the 1892 mansion at 722 Steiner Street. The definition of a painted lady is a Victorian with three or more paint colours. So, even though the seven on Steiner Street are the most famous — there are several other painted ladies in the neighbourhood to enjoy. 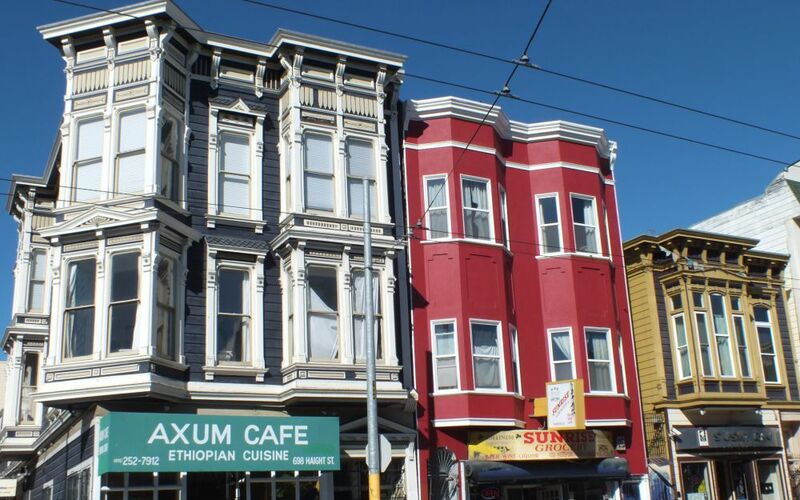 Explore the streets, parks and vistas around Scott Street, McAllister, Haight Street, Steiner and Pierce that tell the story of a Victorian era and discover more beautiful mansions, but be warned, it is very hilly around here so it can be quite a strenuous walk. 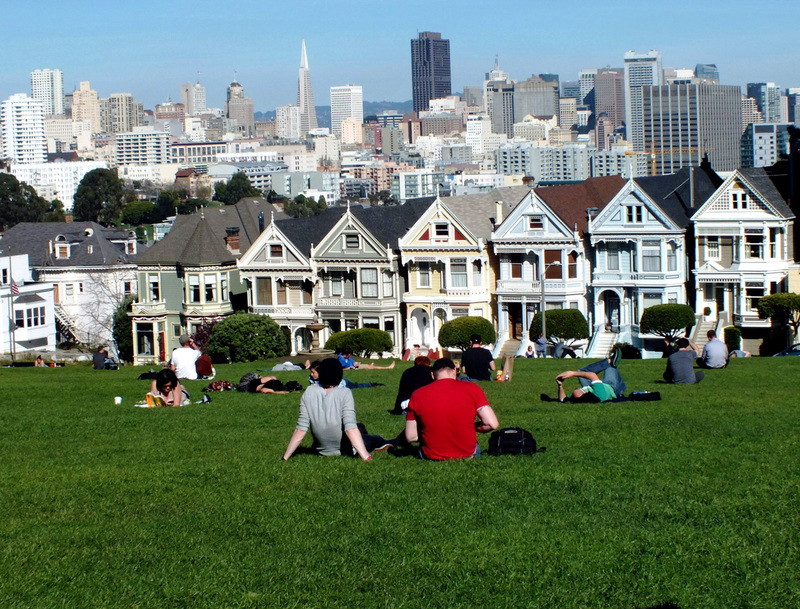 Alamo square is a great place to sit and rest and admire the view after your walk around the neighbourhood. I walked about 10 blocks from the Misión San Francisco de Asís on 16th Street which is some distance away, through Duboce Park. You can of course take public transport to Alamo Square, but then you’d miss an awful lot of this wonderful architecture. And don’t forget to look up!